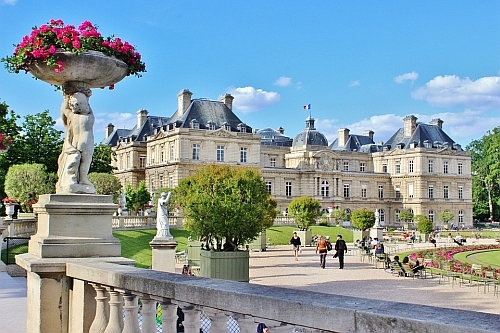 Delta and Air France are showing non-stop flights from Seattle to Paris, France in August for $522 CAD roundtrip including taxes. There have been various August deals from Seattle to Europe in this price range recently, but these are non-stop flights which is more unusual. The cheapest flights from Vancouver to Paris in August are currently Air Transat's $830 roundtrip flights (also non-stop). March, April, May 2018 dates... - try this Google Flights search - look for the $591 dates and try them on Momondo. You can also find flights where you fly from Seattle to Paris, and then Paris to Vancouver - in August- for $525 CAD roundtrip including taxes. 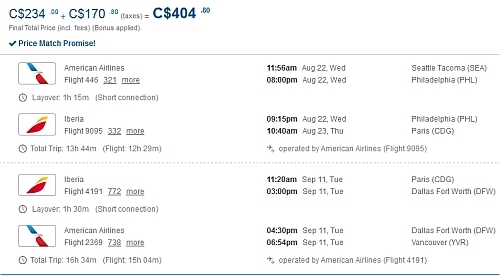 There's some for $404 to $474 roundtrip, but they're longer trips. Any combination of the above dates may also be a similar price. flight deals, seattle, sea, europe, american airlines, western europe, paris, france, cdg and air france.